Despite winning a gold medal at the 2016 Rio Olympics for the men's 4x200-meter relay swim, this has not been a great week for U.S. swimmer Ryan Lochte, based on the robbery memes and tweets that are taking over the internet. First, he claimed to have been robbed — along with teammates James Feigen, Jack Conger, and Gunnar Bentz — at gunpoint early in the morning on Aug. 14 after a night out in Rio. Then, his account of the incident was challenged by Rio police, thanks to both video evidence and a statement from the gas station owner where the alleged robbery took place. Now, Brazil police have released a statement saying that the swimmers were, in fact, not robbed and did, indeed, vandalize the gas station. Cue the emotionally charged social media reactions. Americans watching the Olympics, and especially Lochte's fans have gone through a whirlwind of emotions as this crazy succession of events have unfolded. 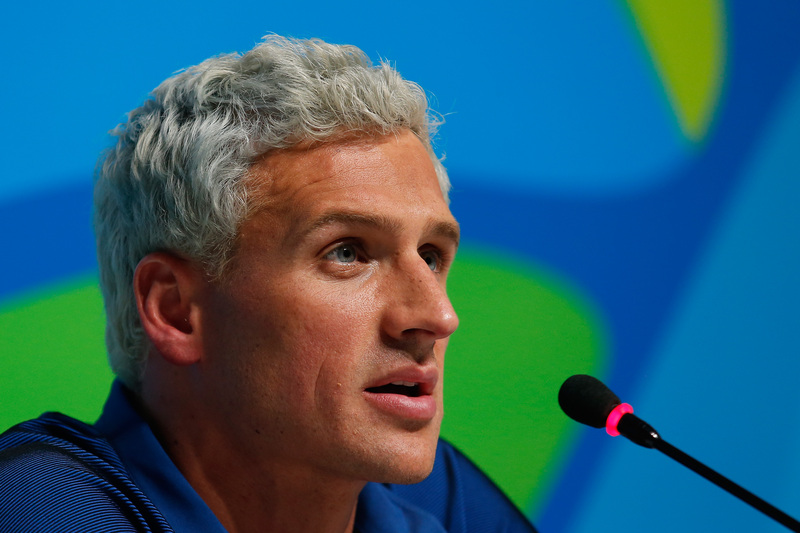 Initially, fans felt sorry for Lochte and and were concerned for his well-being post-robbery. But then, the internet clapped back in the form of some hilarious tweets and memes as the claims were slowly dismantled when Brazilian authorities denounced the veracity of the swimmer's story on Thursday. Using the hashtag #LochteGate, Twitter users have come up with some pretty clever memes and responses to the situation that suggest they aren't going to sweep this one under the rug anytime soon. Although we've seen Lochte's laid-back personality in the past, getting robbed at gunpoint is one situation where someone would probably show a little panic, or at least concern. Or at least that's what you'd expect. What's next for the Olympic swimmer and his teammates is unknown. Will they face any kind of punishment? Or will this be chalked up as "boys will be boys"? On Thursday, the United States Olympic Committee issued an apology, explaining that the four swimmers' actions are "not acceptable, nor does it represent the values of Team USA." Though it counts for something, the incident can't be undone — especially now that the memes exist.